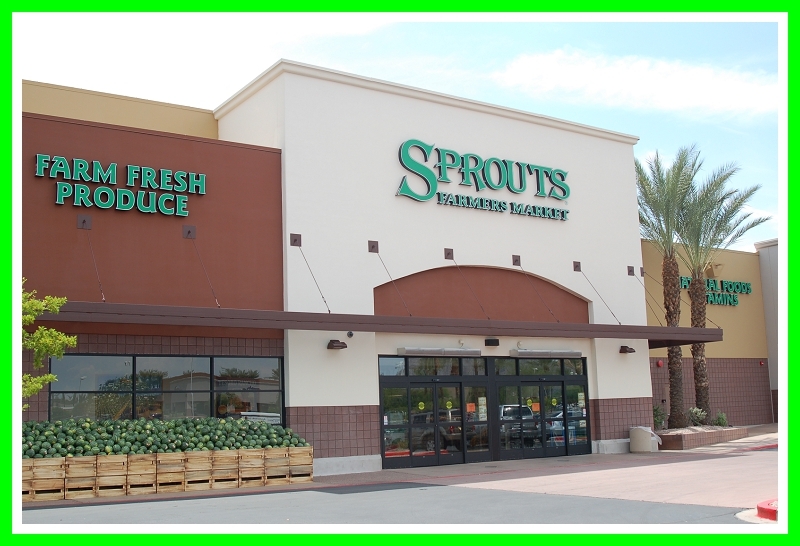 You are here: Home / Family Matters / AZ Local: Sprouts Farmers Market Opens in Ahwatukee! 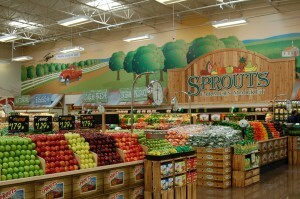 AZ Local: Sprouts Farmers Market Opens in Ahwatukee! Manic: Me trying to find a grocery store close to home that has healthy, natural and affordable foods! Managed: The arrival and grand opening of the new Sprouts Farmers Market! The new location at 48th Street and Ray Road opens today at 7am! I will be there to celebrate and fill my cart with the many great foods that Sprouts has to offer…and at reasonable prices, too! 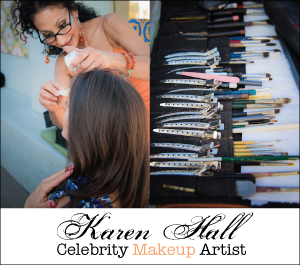 I was invited to attend the media preview event last night and this is one store that you are gonna love! I got to taste the yummy hummus at the preview party. Lucky me! 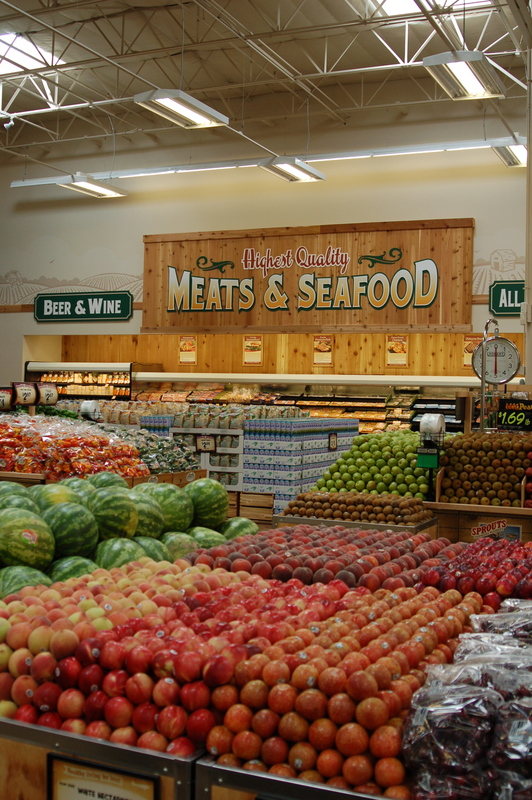 If you have already shopped at Sprouts Farmers Market, then you know that the fresh local produce fills the center of the store, not the perimeters…the way grocery shopping should be! This new location is similar to what you have experienced at other Sprouts locations, but the space is bigger and is filled with several new areas like an olive bar and sushi bar. Yum! 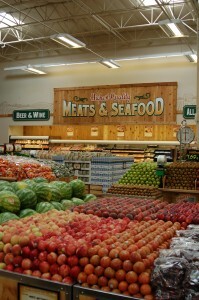 Sprouts Farmers Market President Doug Sanders tells me that he has been eyeing the 48th Street and Ray Rd. location for years! “This area was on our radar for the last 7 years, but we had to wait until the timing was right,” says Sanders. Lucky for us Tukee, Chandler and Maricopa folks, the stars aligned and Doug Sanders and his team made the move to open Sprouts in the former Room Store location. The Room Store moved next door and I saw several happy Room Store employees welcoming their new neighbor yesterday! *The prices are good and the food is fresh, local and natural. All types of produce fill the center of the store, giving customers a lot of options when it comes to healthy food choices. As a mom, I appreciate that the good foods are center stage, making it easier for my kids to want to select fruits and veggies, as opposed to boxed and processed foods. *As Steve Black, Sprouts Farmers Market Vice President of Operations says, “Our store doesn’t have unhealthy sodas that tempt your kids and the store has a farmers market feel.” As a mom, I absolutely love that about Sprouts, especially because I struggle with keeping my kids fueled throughout the day with healthy options. 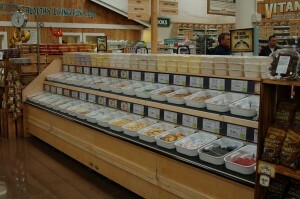 *I no longer have to drive out of my way to find a good selection of natural meat and wild fish. Organic free range chicken fills the refrigerated shelves and grass fed beef is plentiful, too. *Need a bulk food item? Look no further than Sprouts Farmers Market. The Tukee store has a huge selection of all kinds of bulk foods like steel cut oatmeal, healthy nuts of all types and some quality chocolate choices, too. Many other fun foods can also be found in the big bulk section of the store. *Gourmet coffee and natural juices are offered, too. If you do want a soda, healthier choices like Hanson’s are sold at Sprouts. *Want an affordable, delicious and healthy lunch? 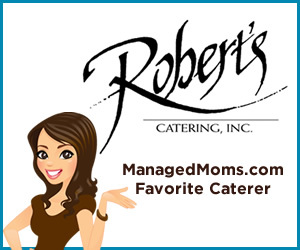 Try the gourmet assortment of made-to-order sandwiches that sell for only $2.99. I hear that the BLT is quite good. For a manic mom like me, if we forget a lunch box in the morning, Sprouts will be our stop for a sandwich that can be sent to school. This is very doable since the store hours are from 7am to 10pm daily. 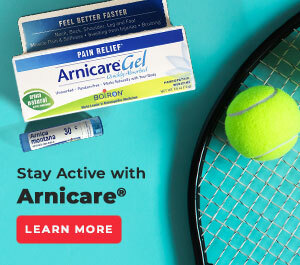 *Look to Sprouts Farmers Market for all of your vitamin and supplement needs. Not only is the selection extensive, but experts are on hand to help you find the right vitamin for your body’s specific needs. A lot of customers see a vitamin issue covered on shows like Dr. Oz and are able to get that product at Sprouts with the assistance of the store experts. Plus spend $100 on vitamins and supplements and get a 10% discount off of your total purchase! 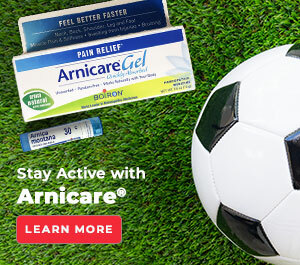 *Allergy problems? Sprouts Farmers Market carries a good variety of gluten-free foods that are tasty and affordable! 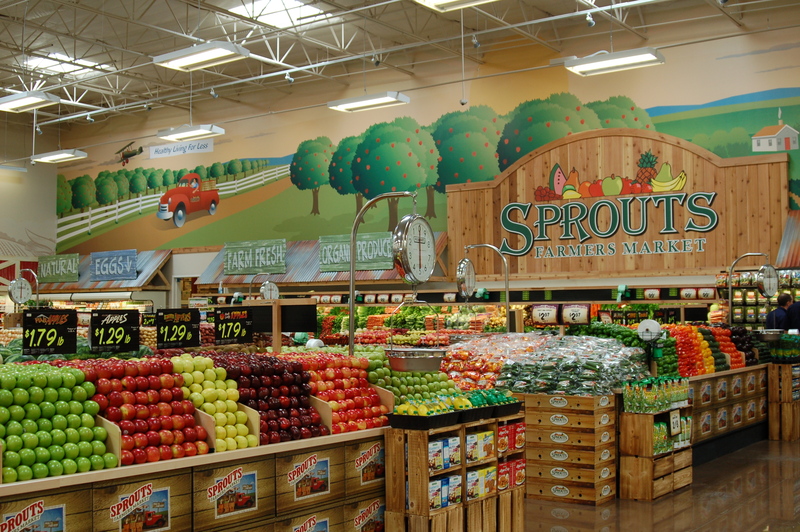 *For your juicing needs, Sprouts has an abundance of fruits and veggies. I also eyed a shelf full of healthy coconut water, too. *Save money every Wednesday with Double Ads! 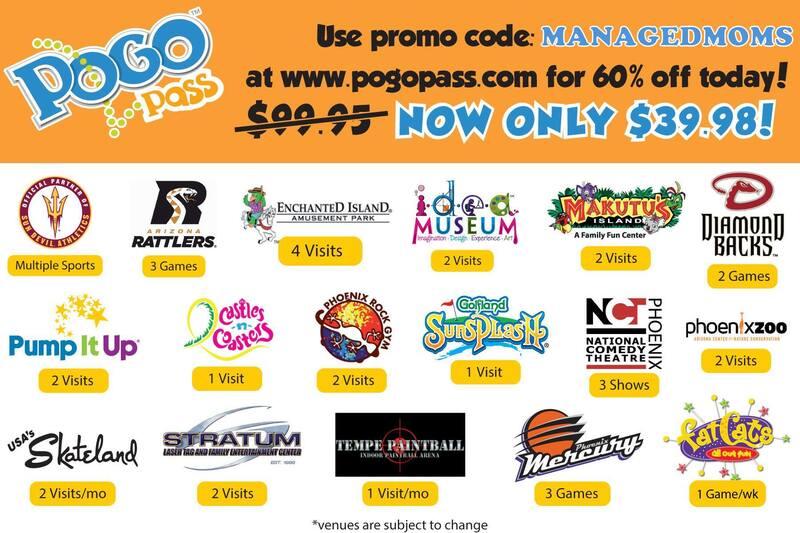 This means that you can use this week’s Wednesday ad flyer combined with last week’s to get double the savings! Since the Ahwatukee location is new this week, this promo will be in place next Wednesday, so take advantage of that for sure! The two items that you can’t get at the new Ahwatukee store are beer and wine, but don’t worry because that is coming! Starting September 15th, the store will carry gourmet wine and beer. So we can look forward to that! 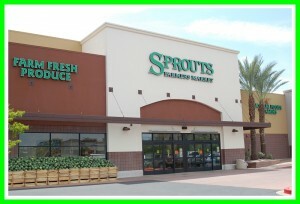 I am thrilled that Sprouts Farmers Market has come to Ahwatukee! My teenager recently asked me to cook as clean as I can as he trains for his hockey team, high school golf development squad and his advanced PE course. I was so happy that he made that request and am even happier that Sprouts Farmers Market makes that easy for me to do….while keeping me on my grocery budget, too! Welcome to the neighborhood, Sprouts! 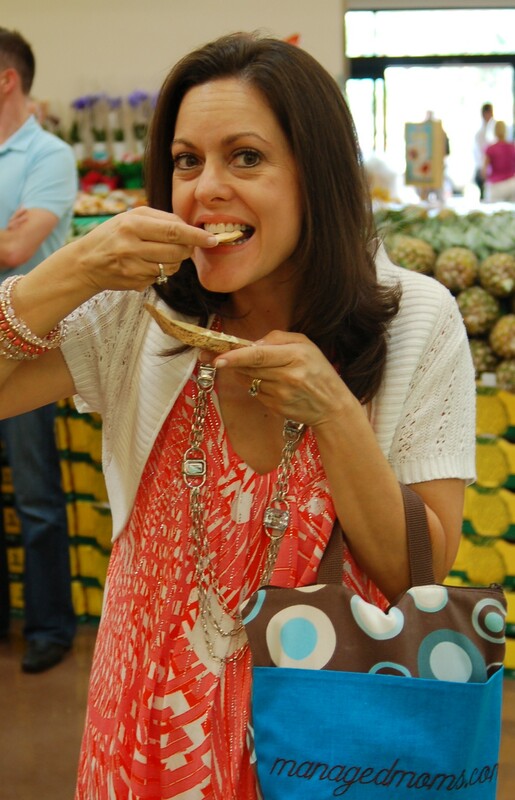 And for those of you in other areas, I highly recommend a visit to your local Sprouts Farmers Market! You won’t be disappointed with the selection. Your family will love the food. And your pocketbook will thank you, too!